Director/Producer – Gordon Hessler, Screenplay – Lawrence Huntington, Additional Dialogue – Christopher Wicking, Based on the Short Story by Edgar Allan Poe, Photography – John Coquillon, Music – Harry Robinson, Music Conductor – Philip Martell, Makeup – Jimmy Evans, Art Direction – George Provis. Production Company – American International Pictures (England). Julian Markham is forced to keep his brother Edward chained up following Edward’s return from Africa as a deformed madman. Concocting a scheme to rescue him, Edward’s friend Trench and a native witch doctor slip Edward a poison that places him into a death-like coma. Julian arranges the burial, blackmailing Trench into getting another body to make locals think it is Edward. However, grave robbers then dig up Edward’s body and sell it to Dr Neuhartt who revives him. Hiding his face behind a scarlet hood, the crazed Edward begins killing townspeople. The Oblong Box was one of a host of Edgar Allan Poe films that came out following the success of Roger Corman’s highly successful series of Poe adaptations that began with The House of Usher (1960). 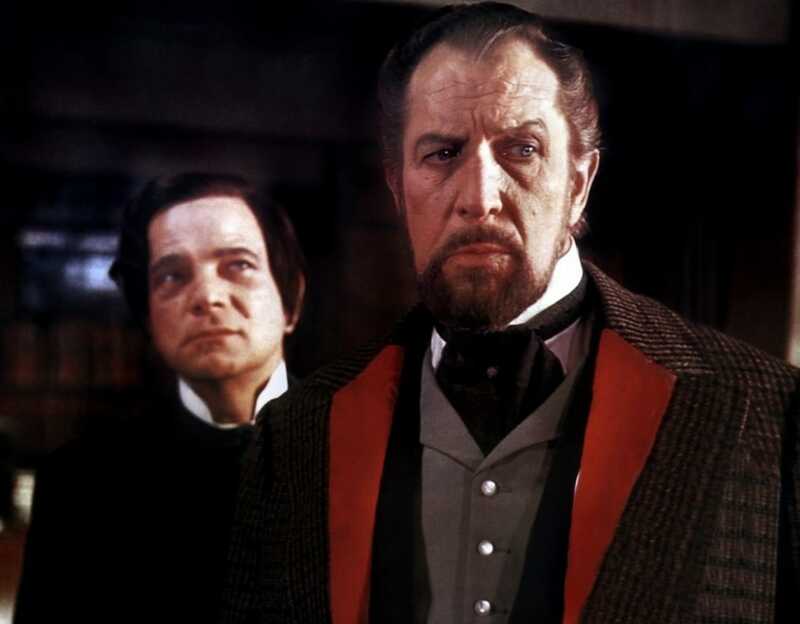 The Oblong Box was made by the English branch of American International Pictures (AIP) who had produced most of Corman’s Poe films and, like most of the Corman films, stars Vincent Price. The film was actually a project started by Michael Reeves, director of Revenge of the Blood Beast/The She Beast (1965), the acclaimed The Sorcerers (1967) and Matthew Hopkins – Witchfinder General (1968). Following Reeves’s death by an overdose of barbiturates in February of 1969 during pre-production, the project was inherited by Gordon Hessler, a regular Anglo-horror director (see below for Gordon Hessler’s other films). Opinion on The Oblong Box is divided – some Anglo horror-philes regard it as a classic. The original Edgar Allan Poe story (1850) was, like most Poe stories, a single macabre effect – in this case, the revelation that the box that a man carried on an ocean voyage contained his wife’s body, ending with the man jumping overboard with it when they are forced to abandon ship in a storm and the captain refused to let him take it aboard the life-raft with them. There is nothing of the Edgar Allan Poe story in the film – for that matter, there are not even any oblong boxes either. The script has distilled the basic themes of Corman’s Poe style – premature burial, the madman kept locked up in the family mansion, body snatchers, a masked lunatic on the loose. Considering the torrid stew of elements, the film emerges with more of a staidness than it ever seems to promise. On the plus side, the colour contrasts are rich and full and Gordon Hessler directs the killings with reasonable style. Gordon Hessler’s other films are:– Cry of the Banshee (1970), Scream and Scream Again (1970), Murders in the Rue Morgue (1971), the Ray Harryhausen fantasy classic The Golden Voyage of Sinbad (1973), The Strange Possession of Mrs. Oliver (1977), Kiss Meets the Phantom/Kiss in the Attack of the Phantom (1978) and The Girl in a Swing (1988).